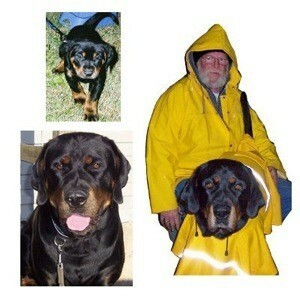 The Labrador Rottie mix is quite a popular combination of dog breeds. 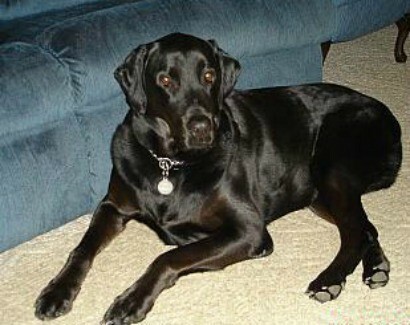 This is a guide about Labrador Rottweiler mix information and photos. Moose is a Labrottie/Rottador, who is just over a year old. We got Moose from a breeder who's female got 'got' by a Rottweiller. If the pups were not sold, they were going to have them destroyed. 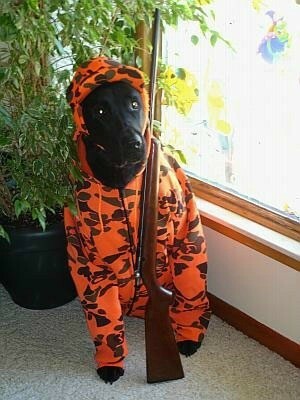 Needless to say, we do not recommend this breeder. Moose has a tennis ball and rope addiction. He loves his biscuits and always knows when I am getting ready to make him more. He is always there to lick the peanut butter spoon. When we got Moose, he was a 3 pound ball of fur. Now he is 105 pounds of happy muscle! He loves to play, and he adores chasing lights like cats do. Beau is 12 weeks old. 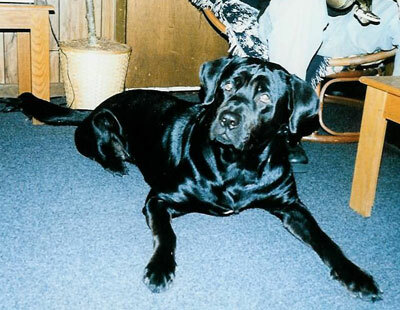 She is a Lab cross rottweiler. I found an advertisement on the net when she was 8 weeks old. She likes to sleep and chew on socks and paper. She also likes lots of food! This is Nitro. 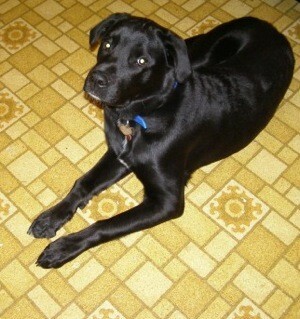 He is a 5 year old Rotti/lab mix. We have had him since he was 8 weeks old and he is a wonderful dog. His best friend is a deaf cat whom he sleeps with. He loves kids and any other animal. He is over 100 lbs. and still for some strange reason thinks he is a lap dog. A true gentle giant. Samson ("Sammy" to his friends) is 5 years old. 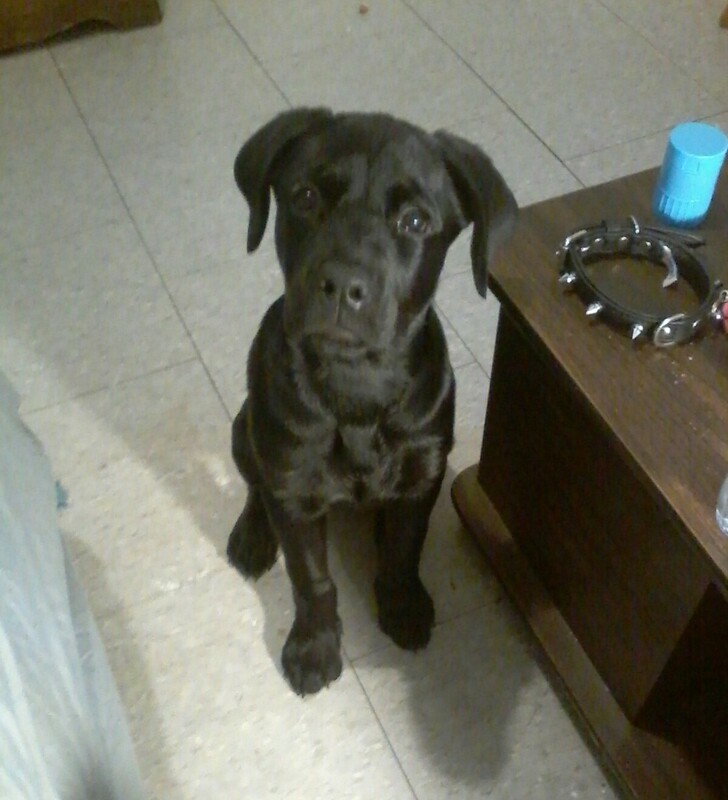 He is a Rottweiler and Lab mix. We got him in late May of 2004. Sammy was adopted as a birthday present for Mommy. 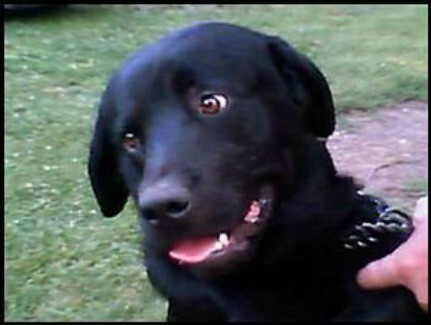 Kane is 5 years old and is a black lab and Rottweiler, rotten lab as I call him. He was orphaned in Ohio, it was either us or death. Wrigley is a 2 year old mix of Golden Lab and Rottweiler. We added Wrigley to our family 2 years ago when a friend of our daughters' dogs had a litter. We fell in love with him instantly. 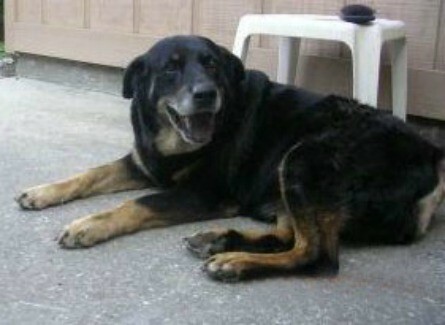 Angel is 6 years old and is a Rottweiler and Labrador, mixed. We previously had two other dogs that were the same breed as Angel and they had puppies. She was in one of those litters. 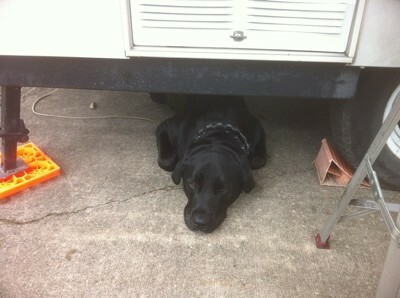 This a picture of Cuda. Cuda is a 7 year old Rott/Lab mix. He is a big goofy dog! He loves to walk around with a stuffed animal in his mouth at all times. We were given him by a friend of a friend when he was about 2 1/2 months old. We have 2 grown cats, and 5 kittens. He'll either be kickin it with them, playing with them, they all love him. Or he'll be in his room alone attempting to destroy the toys we buy him. 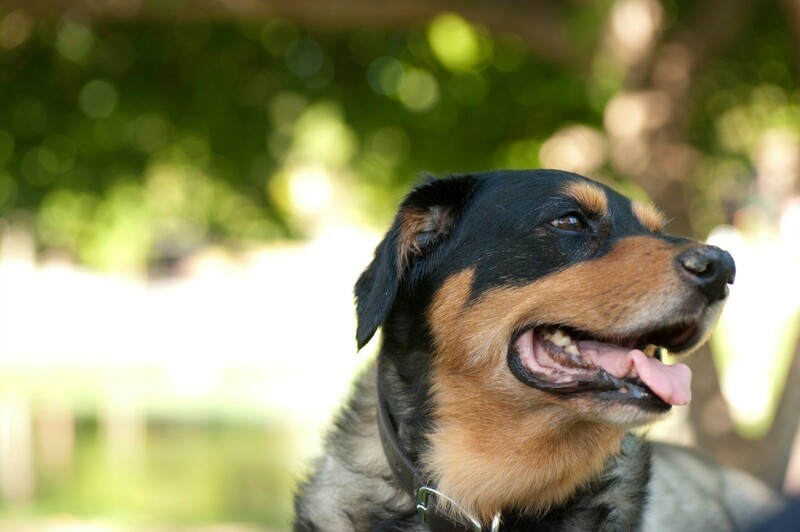 Cuda is a 7 year old Rottweiler/Lab Mix. He was the last puppy from Rebel and we couldn't give him up! Wrigley is a 1 1/2 year old Golden Lab/ Rottweiler mix. A friend of my daughters had puppies and we took our fun little guy home with us. He likes to run around, cuddle, play with his brother, Justin and also likes to play dead when we say bang bang. I have allergies and I take medicines to combat them but he is so loyal and fun, I do what I have to.